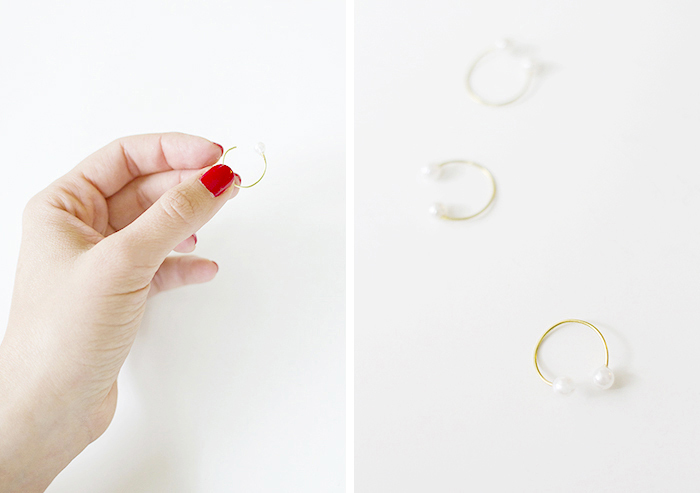 Knuckle rings are totally my jam right now, so when I spotted this set of pearl rings while cruising Pinterest last weekend, I just knew I had to whip up a few for myself as well... why should Nasty Gals have all the fun, right? (winky face). This one is super quick and easy, so read on for instructions! 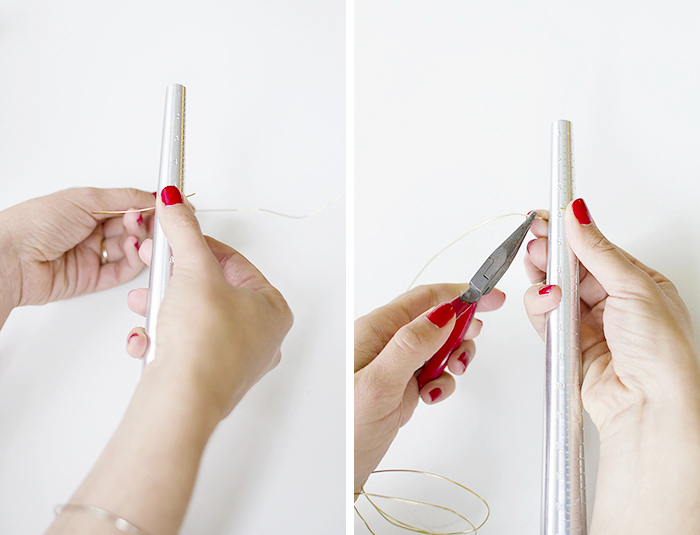 Start by wrapping your wire around the mandrel to your desired ring size, smoothing out the wire as you do so. 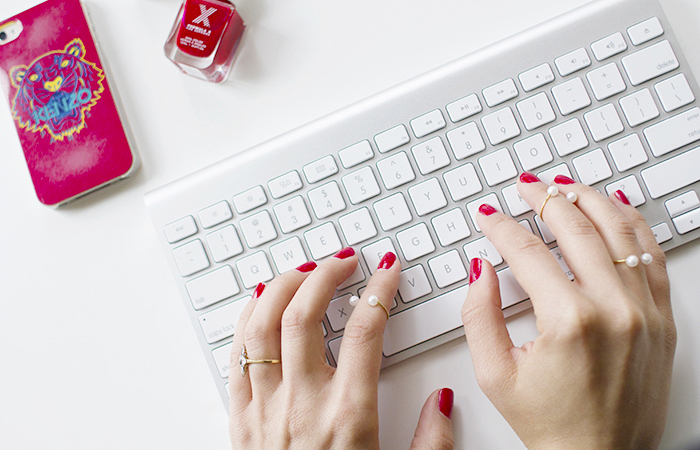 Remember to factor in how much space you want between pearls as you do this. 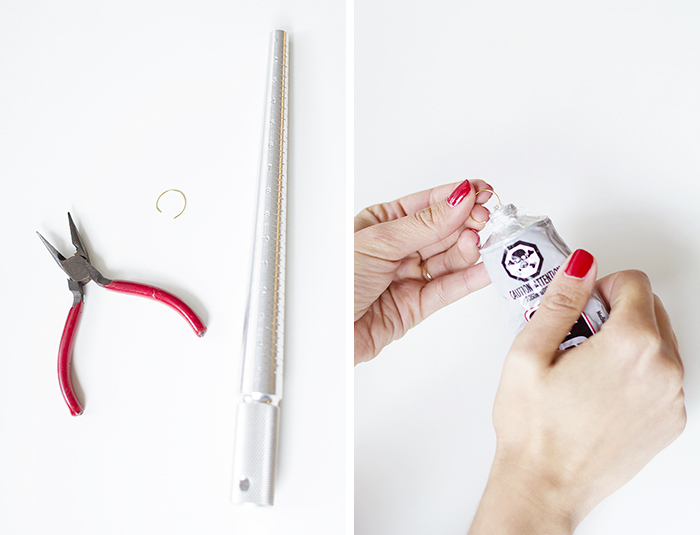 Using a pair of pliers or wire cutters, gently remove the excess wire, reshaping the ring when you're done. 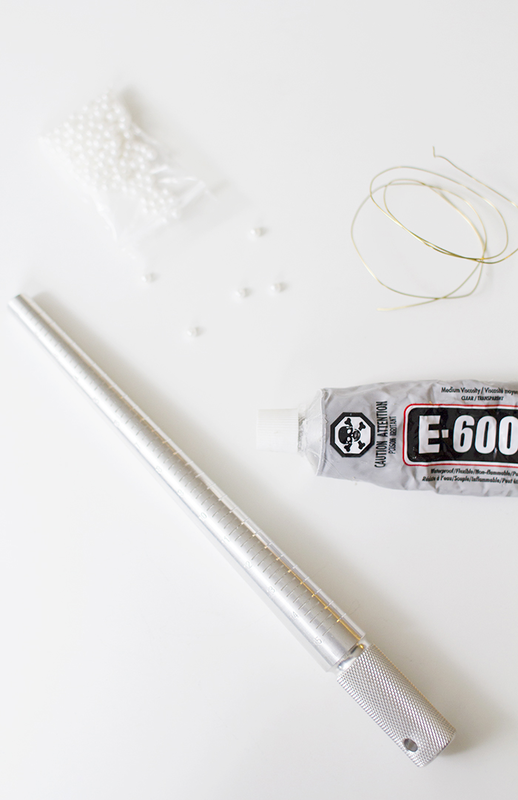 Dip the ends of the wire into some strong glue, then add a pearl bead to each wire end. Allow your ring to dry for a couple hours for best results, then wear your handiwork with pride... You earned it. These are adorable! I love how dainty they are and it looks super easy. Genius! Now to wear it with your diy bracelet that matches.... heaven. These are absolutely adorable - they turned out amazingly well! so pretty! definitely going to try this!! These are adorable and look almost too easy to make! Can't wait to give them a try! 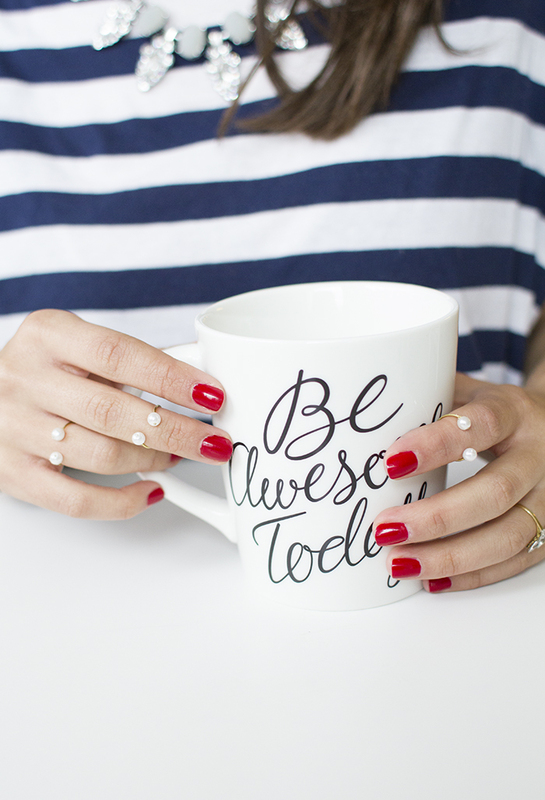 I really like the cup "Be awesome today" - Do you have any idea where one could order one of those? 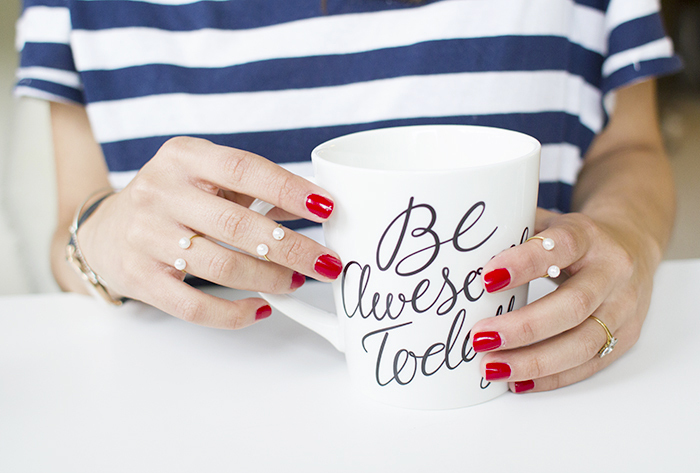 Hey Vickie, Its great blog about how to make ring with pearl and its unique and stylish ring. Thanks for sharing it with us.